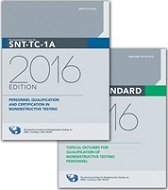 The American Society for Nondestructive Testing, Inc. (ASNT) is the world's largest technical society for nondestructive testing (NDT) professionals. 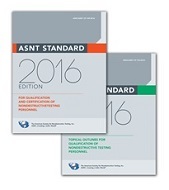 Through organization and membership, ASNT provides a forum for exchange of NDT technical information, NDT educational materials and programs, and standards and services for the qualification and certification of NDT personnel. ASNT promotes the discipline of NDT as a profession and facilitates NDT research and technology applications. Now available in print, PDF and Subscription.